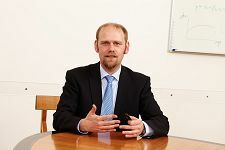 Welcome to the website of the Chair of the Economics of Education headed by Ludger Woessmann. The chair’s research focuses on the economics of education. Ludger Woessmann and his team analyze consequences of education for individual and societal prosperity and various determinants of education. They mostly apply microeconometric methods to answer applied, policy-relevant questions. You can find an overview of current activities in the Newsletter of the ifo Center for the Economics of Education. The newsletter is available free-of-charge via email featuring information on latest research results, publications, selected events and other related topics of interest.